Patrick has over 15 years of real estate investment, development, asset management, and project management experience. His experience covers all property types including multifamily, commercial office, mixed use, urban redevelopment, adaptive reuse, residential and commercial land, homebuilding, and commercial retail. Patrick has a proven track record of executing successfully on challenging projects in all types of economic environments. 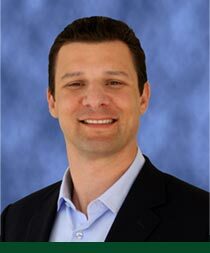 Prior to founding Gavden Investments, Patrick was the Chief Operating Officer and Director of Acquisition & Development for Heller Pacific, a Sacramento based commercial real estate investment and development firm. In this role, Patrick was responsible for all acquisition, disposition, financing, entitlement, development, construction, leasing, and asset management activities for the firm. Prior to joining Heller Pacific, Patrick was Vice President of Land Acquisition and a Project Manager for Fieldstone Communities. With Fieldstone, Patrick managed land development, home building, and commercial development projects throughout Southern California. Patrick has also worked as a Project Engineer for the engineering consulting firm Black & Veatch, managing infrastructure development projects in Southern California. Patrick holds a B.S. in Environmental Engineering from Cal Poly San Luis Obispo, a M.S.E. in Civil Engineering from Loyola Marymount University, and an MBA from the Stanford University Graduate School of Business. Patrick is a licensed Professional Civil Engineer and a licensed Real Estate Broker in the State of California. He is a member of Metro EDGE, ULI (Urban Land Institute), and SPIRE (Stanford Professionals in Real Estate). In 2010, he was named to the Sacramento Business Journal’s “Top 40 under 40”. ©2018 Gavden Investments. All rights reserved.